Research Advisory Committee (RAC) meeting of the Institute held on 16-17 March 2017 in the ICAR-CSWRI, Avikanagar. Chairman, RAC Dr. V.K. Taneja,Former Vice Chancellor, GADVASU, Ludhiana, Dr. R. S. Gandhi, ADG (AP&B) ICAR, Members Dr. C.S. Prasad, Former Director, NIANP, Bangaluru, Dr. J.R. Rao, Retired Head, Division of Parasitology, ICAR-IVRI, Izatnagar and Ex-Emeritus Scientist, ICAR-NAARM, Hyderabad and Dr. S.K. Rastogi, Prof. and Head, GBPUAT, Pantnagar attended the meeting. The Director of the Institute, Dr. S.M.K. Naqvi welcomed Chairman and Members of RAC. All the Heads of Divisions and Regional stations, In-charges of scientific sections and Principal Scientist of Institute participated in the meeting and presented the research achievement and research progress report. The action taken report on recommendations made in last RAC meeting was presented by Dr. A.K. Shinde, Member Secretary, RAC.The Chairman and Members of committee expressed satisfaction over research workgoing on in the institute and directed for improvement of existing projects. 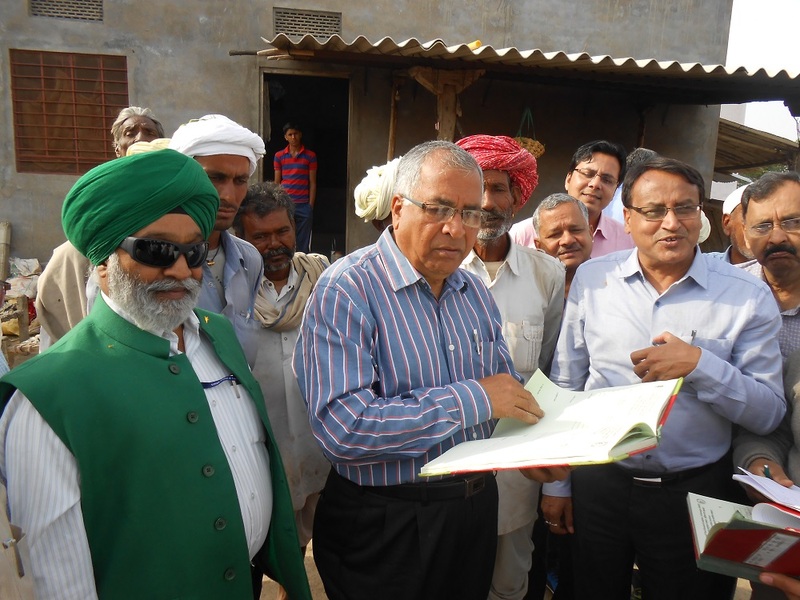 Further, the RAC also visited the Soda and Indolivillage of Malpura Tehsil and interacted with the farmers and appreciated the efforts of the Institute in transferring valuable technologies to the farmers for improving the productivity of their sheep in field flocks.